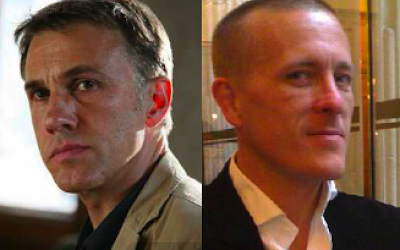 I loved Inglorious Basterds and all (omfg the Bear Jew, take me now), but most of the time I was sitting in that dark room watching the blood spurt all over Diane Kruger's pretty, pretty wartime clothes I was unable to shake the mental picture of The Sartorialist as a chillingly terrifying Nazi overlord. 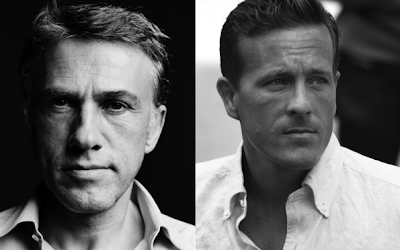 Having finally pulled my act together a full many months after having this thought, I present proof: Doesn't Christoph Waltz so totally look like Scott Schuman? My name is Helen. I write about food and restaurants and cookbooks for other websites. On this website, I write about everything else, which mostly means things I find on the internet that I wish I owned. You can read more exciting facts about me by clicking here. The Destruction of the Written Word? banner by little bill and also a little bit by me. illustration by marc.